? You can’t miss this! The latest crazy installment of Troll Face Quest (Youtube Memes Edition) is finally here! Never heard of Troll Face? With more than 33 million installs worldwide, this series is insanely successful! This time you’re taken on a hilarious adventure where you’ll solve brain-teasing puzzles and try to make sense of impossible situations while trolling the most famous video game characters in history.
? 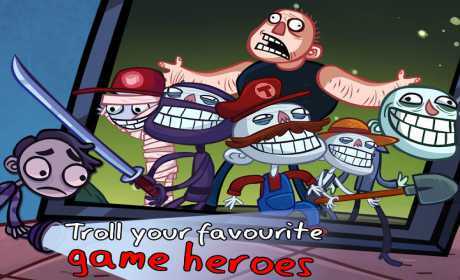 To spare their embarrassment, we’re not mentioning any names here, but the classic heroes of first-person shooters, Italian plumbers, fruit-craving ninjas, fearsome orcs, candy-clogged puzzles and innocent test subjects trapped in labs filled with portals won’t escape Troll Face’s ridiculous pranks.
? TROLL OR BE TROLLED? How do you make sense of a world that makes no sense? Is it crazy, or are you just crazy? 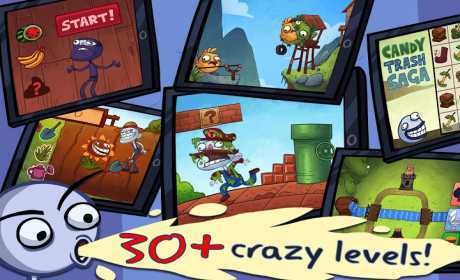 Try to keep it together as you work your way through more than 30 wacky levels, or lose it when you get trolled for the umpteenth time.
? 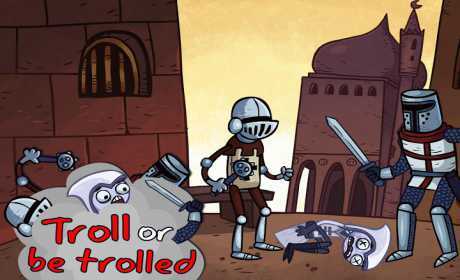 So whether you’re a young gamer hooked on the latest and greatest MMORPG or a less young one filled with nostalgia for the days when the NES, Game Boy and Mega Drive reigned supreme, you’re sure to get a kick out of Troll Face Quest: Video Games. We love your feedback! What’s your favorite level? Let us know in the reviews!